Another one of the hearts, by Angeliki Makri. The open-air artwork displayed in “Hearts in Athens” ought to feel very lonely, as opposed to the cows [the Cow Parade] who took over the city for months and turned into stars and mascots. The cows were cute, tender, elegant, flirtatious and coquettish. Everybody wanted a photo with them, everybody stopped to take a look. The hearts, however, make the city look like a department store window ahead of Valentine’s Day, they seem heartless, distant and indifferent. Few Athenians stop to take a good look, choosing instead to walk past them. It’s not the artists’ fault, the majority of whom are of the new generation, who have tried to incorporate their worries, sensibilities, imagination and city images into the shape of the heart. 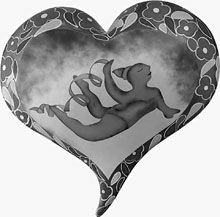 Perhaps that’s precisely where the problem lies, the heart’s actual shape, which is overused and identified with too many things, ranging from Latin American soap operas and Mills & Boon romances to chocolates and cholesterol advertisements. Public art through open-air exhibitions, which first appeared in Athens last year, with a preview during the Athens 2004 Olympics, is a good idea, familiarizing citizens with the visual arts. In a city where visual public culture is identified with busts and sculptures, the familiarization of citizens with contemporary art could very well act as a well-received, “free” education. While the cows stopped in Athens as part of a European capitals tour, the hearts begin their road trip from the Greek capital. The open-air exhibition began on January 21, when key city-center spots filled with over 70 flat or three-dimensional hearts: Kolonaki Square, Syntagma Square, Korai Street, Arsakeio Hall, Panepistimiou Street and Vassilissis Sofias Avenue, to name but a few. Whether hanging from walls or flat surfaces, or installed on pedestrian streets, squares and sidewalks, the works are scheduled to stay put until March 19. A charity auction will then take place on a farewell evening organized for April 14, with 50 percent of the proceeds aiding the charity Together for Children. Greek Olympic officials promised the flame-lighting ceremony for the Beijing Games would be held with full splendor in Ancient Olympia, an area ravaged by wildfires last year. “We have secured all the conditions for an immaculate and simple ceremony, as history, tradition and the site dictate,” Greek Olympic Committee President Minos Kyriakou said yesterday. The flame will be lit on March 24 beside the 2,600-year-old Temple of Hera by an actress dressed as an ancient Greek priestess. It will then start its 137,000-kilometer journey to Beijing. 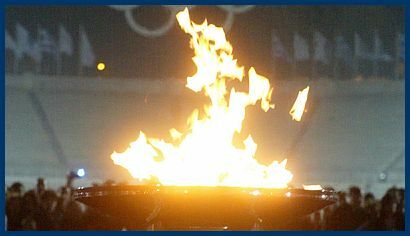 The first torchbearer in the relay will be Alexandros Nikolaidis, who won a silver medal in taekwondo’s over-80-kilogram category at the 2004 Athens Olympic Games. Nikolaidis, who described his allotted role in the lighting ceremony as the “greatest honor in my life,” will hand the flame to Luo Xuejuan, who won China’s only swimming gold medal in Athens. Triple-jumper Piyi Devetzi, who in her most recent accomplishment won a silver medal at the world indoor championships last weekend, will be the last Greek athlete to carry the torch in Greece before it continues its journey to Beijing. IOC President Jacques Rogge will attend the lighting ceremony with Greek President Karolos Papoulias and Prime Minister Costas Karamanlis. Kyriakou said the flame would be carried through Greece for a week – over 1,528 kilometers by 645 torchbearers. It will make a stopover at the Acropolis before being handed over to Chinese officials at the restored ancient Panathenaic Stadium [Kallimarmaro stadium in Greek meaning Marble stadium] where the first Modern Olympics were held in 1896. Forests around the birthplace of the ancient Olympics were devastated by wildfires that killed 66 people and ravaged southern Greece last year. The flames were stopped on the fringe of the ancient site. More than 30,000 trees and shrubs have since been planted around the site. Posted by grhomeboy in Business & Economy, Hotels Greece. 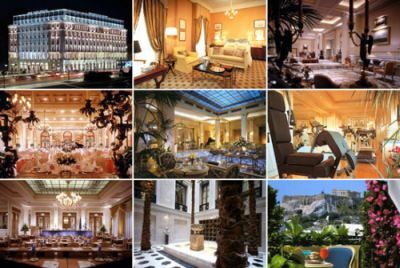 Venture Ability has gained majority control of the Lampsa Hotel Company, the owner of Athens’s historic Grande Bretagne Hotel in Syntagma Square, after a public offer that ended March 11. Venture, acting with Homeric Department Stores in the offer, bought 3.45 million Lampsa shares for 17.18 euros each, according to a statement late Wednesday to the Athens bourse. Together, Venture and Homeric now own 65.8 percent of Lampsa. Prior to the offer, they held 49.5 percent. The offer valued Lampsa Hotels at 367 million euros, or about 3.4 percent more than the market value of the company the day the offer was announced on January 16. Lampsa, which has said it is seeking to expand into cities such as Istanbul, Sofia and Bucharest, also has a controlling stake in Belgrade’s Hyatt Regency Hotel. EFG International, the Swiss private bank founded by the late Greek shipping tycoon John Latsis, said it has started a joint venture with Beirut-based Lebanese Canadian Bank to improve access to clients in the Middle East. Zurich-based EFG will own 51 percent of the venture, called LCB Capital Management Ltd, which will operate from London and is effective immediately. Lebanese Canadian Bank had assets under management of $3 billion at the end of 2007, EFG said. Posted by grhomeboy in Archaeology Greece, Environment, Nature, Science. Greece should start holding tsunami readiness tests in the southern Aegean and southern Ionian, according to Greek and Italian scientists who are creating an early warning system for the Mediterranean. The system, being developed under the auspices of UNESCO, should be in place by the end of the year and fully functional by 2011, according to Stefano Tinti of the University of Bologna. Already three seismograph systems are in operation, said Gerasimos Papadopoulos of the Athens Geodynmaic Institute, adding that six sea-level gauges will be set up, two in Crete and four in the Ionian. Particular care must be taken during the tourist season, the experts said. “Local authorities will be trained in readiness exercises,” Tinti said. “Evacuating the beaches of 10 Greek islands in summer cannot be taken lightly,” he added. “The sea was driven back, and its waters flowed away to such an extent that the deep sea bed was laid bare and many kinds of sea creatures could be seen,” wrote Roman historian Ammianus Marcellus, awed at a tsunami that struck the then-thriving port of Alexandria in 365 AD. Ancient documents show the great waves of July 21, 365 AD claimed lives from Greece, Sicily and Alexandria in Egypt to modern-day Dubrovnik in the Adriatic. Swamped by sea water, rich Nile delta farmland was abandoned and hilltop towns became ghost-like, inhabited only by hermits. The tsunami was generated by a massive quake that occurred under the western tip of the Greek island of Crete, experts believe. Until now, the main thinking has been that this quake, as in the Indian Ocean tsunami of December 26, 2004, occurred in a so-called subduction zone. A subduction zone is where two of the Earth’s plates meet. One plate rides over another plate which is gliding downward at an angle into the planet’s mantle. Subduction zones usually have measurable creep, of say a few centimetres (inches) a year. But as the rock becomes brittle and deformed at greater depths, these zones can also deliver titanic quakes, displacing so much land that, when the slippage occurs on the ocean floor, a killer wave is generated. The 365 AD quake occurred at a point on the 500-kilometre (300-mile) long Hellenic subduction zone, which snakes along the Mediterranean floor in a semi-circle from southwestern Turkey to western Greece. Researchers in Britain have taken a fresh look at this event and have come up with some worrying news. University of Cambridge professor Beth Shaw carried out a computer simulation of the quake, based especially on fieldwork in Crete where the push forced up land by as much as 10 metres (32.5 feet). They estimate the quake to have been 8.3-8.5 magnitude and that its land displacement, of 20 metres (65 feet) on average, puts it in the same category as the 9.3 temblor that occurred off Sumatra in 2004. They conclude the slippage occurred along 100 kilometres (about 60 miles) on a previously unidentified fault that lies close to the surface, just above the subduction zone. The quake happened at a depth of around 45 kilometres (30 miles), around 30 kilometres (20 miles) closer to the surface than would have been likely if the slip had occurred on the subduction fault itself. After the 365 AD quake, the fault is likely to remain quiet for around 5,000 years. But if the tectonic structure along the rest of the Hellenic subduction zone is similar, a tsunami-generating quake could strike the eastern Mediterranean in roughly 800 years, the scientists estimate. The last tsunami to hit the eastern Mediterranean occurred on August 8, 1303. According to research published in 2006, a quake off Crete of about 7.8 magnitude hit Alexandria 40 minutes later with a wave nine metres (29.25 feet) high. The UN Educational, Scientific and Cultural Organisation (UNESCO) is setting up a tsunami alert system for the Mediterranean as part of a global network established after the 2004 Indian Ocean disaster. Posted by grhomeboy in Architecture Infrastructure, Living. Athens ranked among the last cities in Europe in a survey ranking real estate markets for both investment and development prospects, according to survey results made public yesterday. The survey, put together by research group Urban Land Institute (ULI) and PricewaterhouseCoopers, ranked Athens in position No 25 out of a total of 27 cities reviewed. The survey covers countries throughout Europe and is based on surveys and interviews with nearly 500 of the industry’s leading authorities. Moscow and Istanbul took first and second place, respectively. A strike by Athens metro and Kifissia-Piraeus electric railway (ISAP) workers yesterday prevented commuters from using trains but a recent pilot scheme that has led to the service being extended on Friday and Saturday nights has proved a resounding success, according to new figures. On Saturday night, some 21,000 people used the metro and electric railway during the extended two hours of service, from about midnight to just after 2 a.m. The two-month pilot scheme began on February 8 and its success has encouraged the Transport Ministry to consider making it a permanent feature of the weekend timetable. Syntagma metro station is the most popular with commuters on weekend nights, some 4,000 people pass through the station after midnight on Friday and Saturday. About 8,000 people ride on the electric railway during the extra two-hour period each weekend night.